Is It Possible To Shift My Aircon To My New Home? Moving to a new home can be quite a daunting experience but it does not have to be so with shifting your air conditioner to your new home. 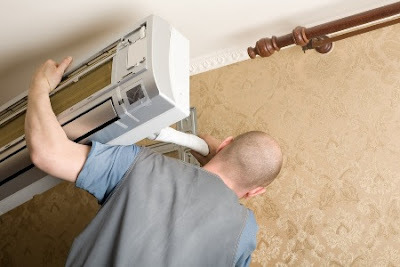 According to many sources, shifting a air conditioner is a job you can undertake on your own quite easily. However, if you want to a stress-free shifting of your air conditioner it is best to hire the services of a professional mover. Professional movers are trained to pack, load and move your air conditioner to the place of your choice. Since they are not trained to uninstall your air conditioner, getting it ready for them to pack is something that you have to grapple with. Thankfully, almost all the work can be done easily in moving your air conditioner and get it ready for shifting in time. Here is how. If you are not the person who installed the air conditioner, you may have little know how as to the different features of the air conditioner. But do not worry, for it does not take a technical mind to understand some of these basic features. Before shifting your air conditioner, here is what you should know. The air conditioner is a split unit that has two units, an inside and an outside unit. The unit on the outside is the one that contains machines such as the compressor and the gas. After obtainingcertifications if necessary, contact the local HVAC technician to discharge your unit. Don't attempt to do this part on yourself as it involves getting into contact with toxic chemicals. After the technician has discharge your unit and removed all the refrigerants. Then proceed as follows. First and foremost, find the copper refrigerant intake and the output lines and cut the line using copper tubing cutters. Next locate the wires connecting your thermostat to the unit and cut them. Unplug the unit from the wall and remove the front panel. Lay a towel or a soft cloth on the place you plan on placing you AC unit, this is because though it hasn't rained, there might be water inside that can slosh out ruining your floor in the process. Since the unit weighs quite some pounds, consider asking for assistance from your neighbor. In the process of shifting your air conditioner, gas loss might occur if not protected properly. Here is what to do to prevent this. On the outside unit, the condenser has two shut-off valves, one on the suction line and one on the pressure line. First, close the valve on the pressure line which is the outlet valve and then run the condenser for several minutes. While it is still running close the inlet valve. This works by evacuating the lines and saving the refrigerant as a liquid in the condenser. After turning off the condenser you can now safely cut the lines to the evaporator without losing any gas thus saving on the cost of refrigerant. After this is done, your air conditioner system is ready to be moved to your new home. At your new home, after re-installing the air conditioner you might consider calling a HVAC technician to test your work and ensure there are no leaks. But if you fear ruining your air conditioner in the process of shifting it, it is advisable to contact a technician to shift the air conditioner for you. Though some moving air conditioner services do provide the uninstallation service, it is best if you could do it for yourself.